Timed Assist: The timed assist is configured such that once the Executive’s phone rings unanswered after the configured time – for example 10 seconds - the Assistant’s number will start to ring. Live Assist - The live assist is configured in such a way that when the Executive number is called it rings on the Executive and Assistant phones simultaneously; therefore, whoever answers the call first attends to the caller. Control Assist - The control assist is the default service mode. It is configured in such a way that when the call is rejected by the Executive then it starts ringing on the Assistant’s number. 1. What is Mobile Assistant? Mobile Assistant is a service that allows an Executive’s incoming mobile calls to be handled by a secretary or an assistant. Mobile Assistant provides valuable benefits to an Executive as their mobile handset now offers greater utility. An Executive can pair another number (that of his Assistant) such that when the Executive number is called it rings on both the Executive and the Assistant’s number. 2. Mobile Assistant is available in 3 service modes shown below:? Timed Assist – This is configured such that once the Executive’s phone rings unanswered after the configured time – for example 10 seconds - the Assistant’s number will start to ring. Live Assist – This is configured in such a way that when the Executive’s number is called it rings on the Executive and Assistant’s phones simultaneously; therefore whoever answers the call first attends to the caller. 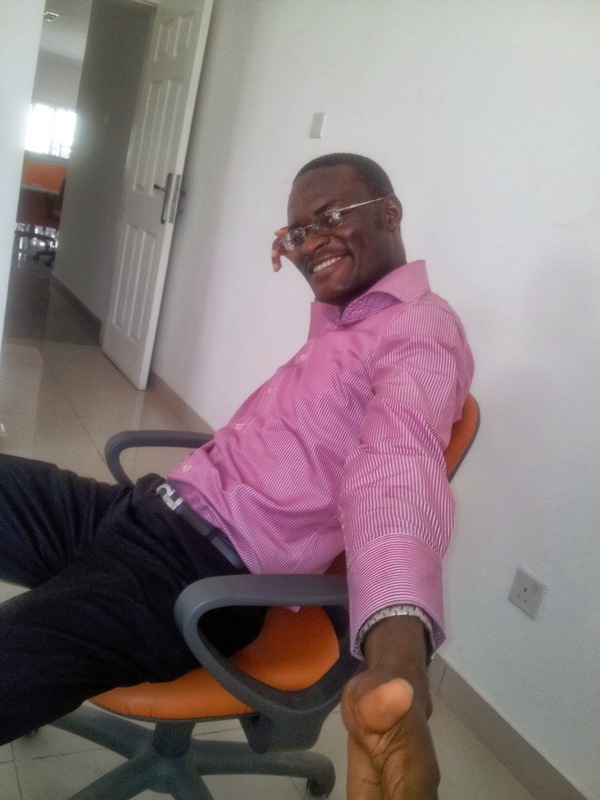 Control Assist – This is the default service mode; it is configured in such a way that when the Executive’s number is called it rings on the Executive’s phone only; if the call is rejected by the Executive then it starts ringing on the Assistant’s number. 3. Who can benefit from this Service? 4. How can I subscribe to the Mobile Assistant service? As a postpaid subscriber, you will be required to visit any of our Experience centres or contact your Account Manager for the service to be activated for you. You will also be notified upon successful service activation of Mobile Assistant. 5. What are the benefits of Mobile Assistant? 6. What can I do with my Etisalat Mobile Assistant Service? 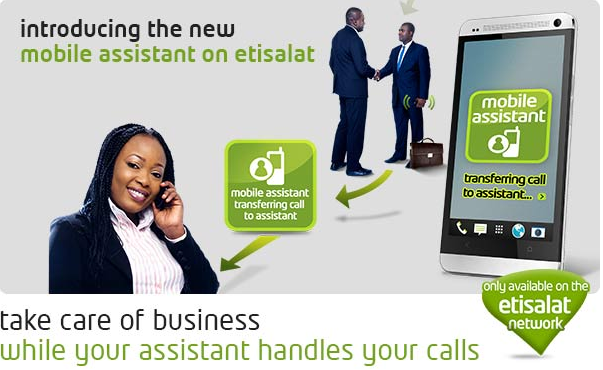 With the Etisalat Mobile Assistant, you are able to free up your time as an Executive by being sure that you focus on only important calls. 7. Will I be charged a fee for Etisalat Mobile Assistant Service? Yes, as a prepaid subscriber, you will be charged N750 naira for the service which is auto-renewable after validity of 30 days. This is a recurring fee for as long as you are on the service. As a postpaid subscriber, the fee would be added to your bill at month end and it is a recurring fee for as long as you are on the service. The service is renewed 1st day of the month. 8. With my Mobile Assistant Service, will my voice mail service remain active? 9. Will I be notified when the validity period is due for renewal? Yes, you will be notified 3 days before the end of the cycle..
10. Will the Mobile Assistant service work while roaming? If the Executive phone number is in a roaming environment the service will not be available. 11. What if the Assistant needs to transfer the call or speak with the Executive? This is possible through a Mid-Call Transfer. When the Assistant receives a call using Mobile Assistant, they are able to speak to the Executive and transfer the call simply by pressing the star key. 12. Am I charged separately for transferring calls to my Executive / Assistant? No, Call transfer between the Executive and the assistant will be handled by the Mobile Assistant application and no charges will be applicable to such calls as it is part of the service offering. 13. Do I have to keep opting in every time my service expires? No. You only have to ensure you have the applicable fee in your account on or before the expiry date and your Mobile Assistant service will automatically be renewed. Upon successful renewal, your Mobile Assistant service will be re-activated automatically. However, if there is no balance / in-sufficient balance on your account at service expiration, service will NOT be automatically renewed.